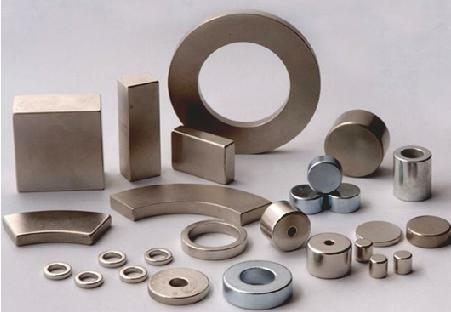 Neodymium (or Neo, NIB, NdFeB or rare earth) magnets are an essential part of most DIY alternative energy generators – e.g. wind turbines, wave power generators etc – since they have ten times the power of conventional magnets and can be glued into place with good quality epoxy glues. Invented in the 1980’s their prices are now dropping and they are becoming easier and easier to find and in ever more shapes and sizes. With access to the world market, eBay usually offers the best value for all quantities and sizes of neodymium magnets. CMS Magnetics – Sell an enormous range of neodymium magnets with big volume purchase discounts. Pity for those in the UK that they are based in Texas, USA so the shipping is a killer. Just $1.50 for a Grade 35 D1.0″ x 1/2″ disk magnet! Solbergavind – sell a wide range of neodymium magnets specifically for wind turbines. For example 24 of 46x30x10 40H magnets for just 108 Euro. They can also make special magnets to order. Forest Road Magnetics – Sell through eBay (as civictechnologies). D1″ x 1/8″ N38 grade disks at £1.35 each. Overall more expensive than Power Magnet Store. shop4tools.co.uk – 5 of 25x2mm for £4.00, or 1 of 20x10mm for £1.44. Minimum postage of £3.40 in UK.